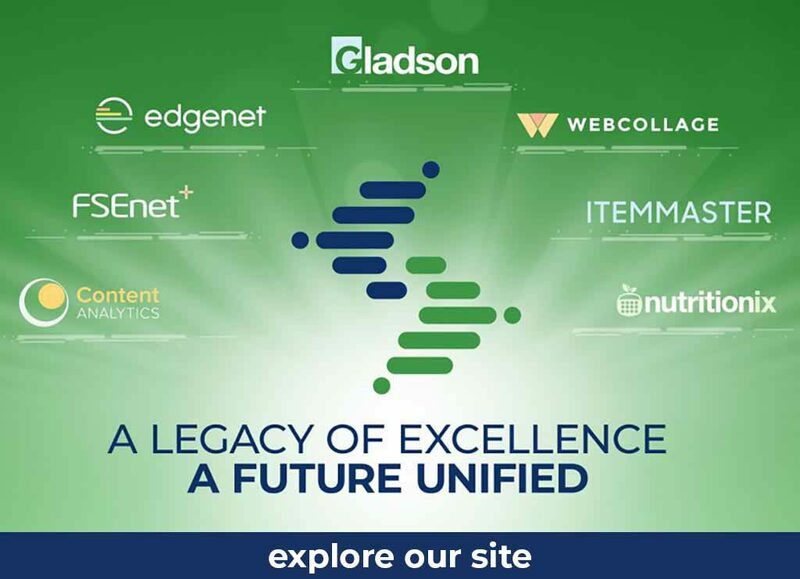 Gladson, a portfolio company of The Wicks Group (“Wicks”), announced today that it has acquired both FSEnet+, a leading product data management and syndication provider, and Webcollage, the leading cloud-based platform for manufacturers to manage and publish rich product information across a vast network of retailer sites globally. Combined with Gladson’s industry-leading digital content hub of consumer goods product information and images, the three companies together offer a powerful end-to-end product content management experience. The acquisitions will enable brands and retailers to drive efficiency in their supply chain, space management and eCommerce operations to increase conversions and optimize digital and in-store experiences. The terms of the transactions were not disclosed. “Our clients are struggling working with multiple providers of product information and digital assets due to inconsistent formats, and ever changing product labeling and packaging. Retailers and other data recipients need complete and consistent data to power their eCommerce websites and to optimize their shelf management process. We have listened to our clients and made great strides in bringing best-in-class solutions together to help solve this challenge in the industry,” said Gladson CEO Paul Salay. Gladson is now uniquely positioned in the industry to deliver a seamless shopper content experience, with the largest brand and retailer network, the highest quality and most complete data across multiple industries (from apparel, durable goods and automotive to consumer product goods, and food and beverage), delivered in accordance with client and industry-defined standards, via a leading cloud-based content platform. Plus, clients will continue to receive exceptional service from an unmatched client team in the industry. “Gladson’s mission continues to provide our clients with the best verified and accessible content. Gladson remains committed to focusing its investments in technology and innovation to address their needs,” said Paul Salay. FSEnet+ is a leading provider of product data management services and is certified as a GS1 GDSN data pool. FSEnet+ addresses supply chain, eCommerce and regulatory needs through our global network and provide solutions and services that ensure “perfect data in every system.” FSEnet+ is headquartered in Boston, with offices in Paris, Warsaw, Sao Paulo and Mexico City. Webcollage is the leading cloud-based platform for the publishing of rich product content and syndication across retail sites globally. Built in an environment rich in strategic thinking and innovation, the Webcollage platform serves more than 1,000 of the world’s most demanding brands, providing the tools they need to deliver consistent content to power online sales conversions and improve the customer experience. The Webcollage global network includes more than 600 top retailers across dozens of countries. Webcollage is headquartered in New York City with offices in the U.S. and Europe. The Wicks Group (http://www.wicksgroup.com) is a private investment firm based in New York City that invests in lower-middle-market companies operating in selected segments of the information, education, and media industries principally in the United States and Canada. Since its founding in 1989, Wicks has invested over $1 billion of capital in more than 30 platform companies and approximately 100 add-on acquisitions. The firm has applied a consistent investment strategy since its founding, partnering with high-quality, experienced management teams to build businesses organically and through acquisitions.